A freezer is one of the most important home appliances you can invest in. 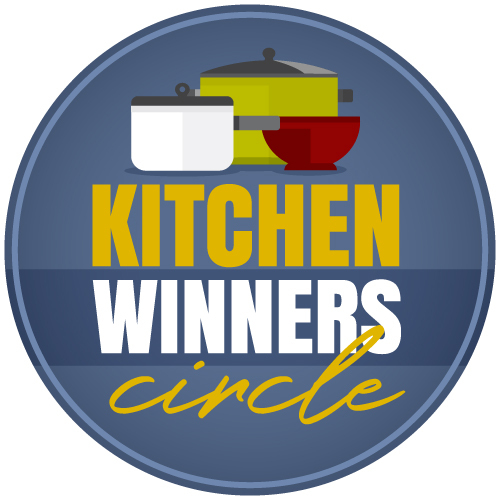 We’ve been talking about small kitchen appliances for the last few weeks. Since I’ve been on my feet for the last five hours trying to fill my freezer, lets chat about that not-so-small kitchen appliance, the deep freeze. A freezer is certainly not small, but it’s also outside the standard kitchen appliance crowd. I tend to think of the refrigerator, stove, and oven as mandatory kitchen appliances, while the the bread machine, the food processor,the immersion blender, the waffle maker, the Keurig, the electric griddle, the home juice extractor, the toaster oven, the slow cooker, and Magic Bullet are extras. 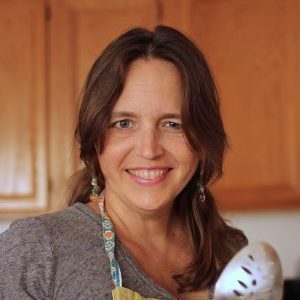 I don’t need them to have a functional kitchen, but they sure do make my kitchen work easier, especially in this season when I’m cooking from scratch to feed a crowd. I don’t need a separate freezer, but I sure do like having one. We bought our freezer for around $200 used. It was practically new at the time. Today it’s going on 16 years old. I do worry that it may go kaput on me, but I haven’t yet been able to justify the expense of buying a new one. Obviously, the freezer meals are a big deal around here. You know, the book thing and all that. Tonight I held a mega-cooking session, filling our freezer with all kinds of goodies to make meal-times easier in the coming weeks. I’m so thankful that I can pull some meals out of the freezer in the next few days and not have to do so much on the spot work. What’s your experience with a deep freeze? LOVE LOVE LOVE! I actually have a small deep freeze and a side by side in my garage. Well, plus my fridge/freezer in kitchen. I use them all. They get tons of use. So grateful for them! Your freezer looks like the same size as ours. I got some good ideas on organizing it just by looking at your picture, but would love to hear more about how you organize it. And where did you get those green plastic totes? I got the totes from Target a little over a year ago. I know it’s possible to feed a family without a freezer, I just don’t know how I’d do it!! I grew up with a freezer on the back porch and now I have three of my own, one in the kitchen and two in the basement. We live in the country and are several miles from the nearest grocery store, so I keep the staples of life, bread, milk (yes milk), large containers of various spices, juices, and one-or-two-serving containers and bags of leftovers for emergencies and/or laziness. We “share a cow” and have beef in the freezer all the time. During the growing season I freeze fresh fruits and vegetables for later consumption. I’m able to take advantage of sales on everything from pork and chicken to ice cream. An upright freezer is an investment if you purchase a large one, but over the years it will more than pay for itself in savings and convenience. What’s my experience with a freezer? If one of mine died this morning, it would be replaced by this evening. @Peggy, That is me, exactly. I have an upright for anything not meat and a chest one like in the photo for meat. I only see the bottom of mine about twice a year. The one in the kitchen is for things in progress – like partial bags of vegetables or fruits, the bones and veg ends that will become stock, ice cubes, things to thaw in the current week. I live in what is considered a suburban area and my nearest grocery store is a ten minute highway drive away. Personally, the sheer convenience of having a freezer is all that matters to me. If you buy an Energy Star compliant freezer, the montly cost is much lower than most of the older versions. I’ve got the largest upright home freezer available and honestly, I’d really love to have another one for meat only. Love having a deep freeze. We got one from my grandpa for a wedding gift. After convincing my hubby that it wouldn’t be too expensive to use, we use it all the time! 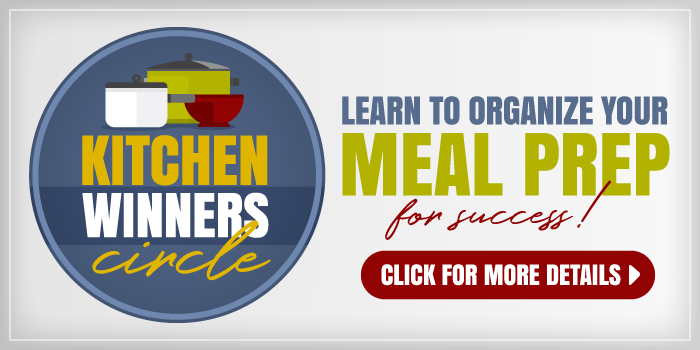 It allows us to stock up on things when they are on sale (milk, bread, butter, etc), put away frozen meals (stocked it up with meals just before baby #2 was born), and preserve home-grown foods (corn, peas, freezer jam!). I don’t want to think what we’d have to do without it. I love having a deep freeze. We actually have 2, an upright and a large chest freezer. My current plan is to keep meats in the chest freezer and then fruits, veggies, and prepped stuff (homemade meatballs, freezer meals, etc) in the upright. Its a work in progress though! I have had my upright deep freeze for 15+ years and I love it. One question I have is how do you keep bread & rolls from drying out and getting hard? I will buy sandwich bread or hot dog buns and 3-4 weeks later when I thaw them out corners and sometimes entire pieces are like croutons. Ours don’t last that long. My kids go through bread really fast. But, I usually double bag them to have an extra layer of insulation. @Erica E, Is the bread fresh with no air in the bag when you put it in the freezer? Also it should ot be fresh baked warm bread. I like to slice artisan bread (shaped into individual hoagies) and put it in a gallon ziploc bag and pull them out for quick lunches they are thawed by lunch but the meat and veg is very cold! I love my freezer but I can’t get the thing organized. I lose stuff in there :-/ How do you do it? I saw a bunch of baskets in the picture. Do they work to keep things in their places? We also have multiple freezers. One huge chest one, an upright, and a small chest. We are from the country and we do all of our own butchering, so in the butchering season they are all full for our family of 7. I also freeze most of our produce from our garden, so that pretty well keeps the upright full. I love to do freezer cooking too, that is my version of eating out. Just warm up and no mess that night!! I also like knowing what our family is eating, and using a freezer is the only way I could do it. I love my freezer. It was a gift from my family. The organization part has been a challenge. 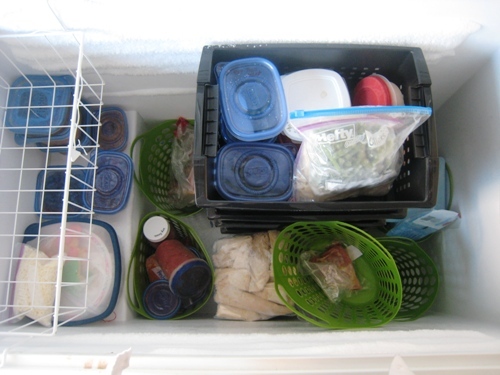 I have, however, found that storing items in the freezer is much easier with freezer bags filled, air expressed, laid flat to freeze,then store in a upright position after freezing. U can use a metal sorter to place bags upright. Beef soup with beef soup. Etc. I read this post and got a little sad… I want to have a freezer so badly, besides the one attached to my fridge. I tried several years ago to put a small one (all I can fit) into my one-car garage. Unfortunately, it faces the hot afternoon/evening sun and the garage gets so hot all summer, it broke the freezer. And there is absolutely no other place to put a freezer in our fairly urban townhome. It’s depressing. Instead, I’ll just drool whenever I read about all this freezer activity, and continue to keep my little one packed to the gills. @Heather M, oh, please don’t be sad. 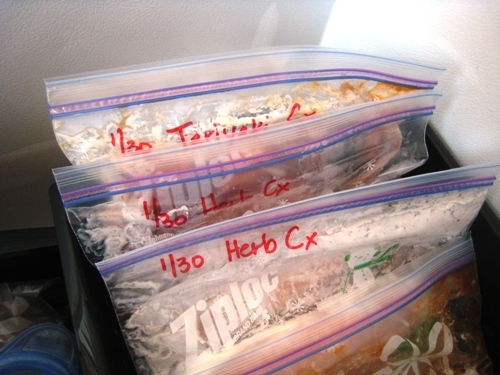 Depending on how you organize your fridge freezer, you can still put away meals. There have been seasons where our big freezer sat unplugged because we didn’t have the money to run it or fill it, but I still did freezer cooking.